A big hello to Thomas who is our Pet of the Month this April! Thomas came in to see us back in January with a very sore-looking fleshy mass in the middle of one of his front pads. 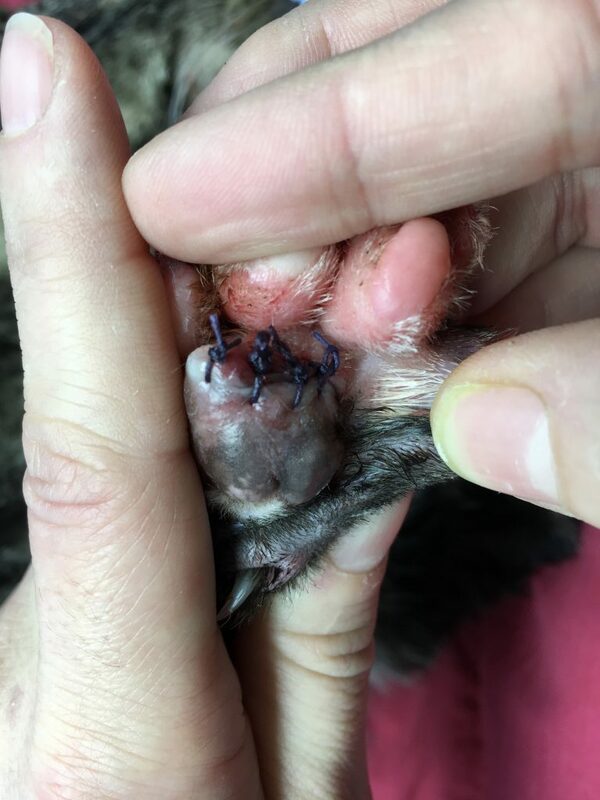 When he didn’t respond to treatment for an infection or foreign body, we took Thomas into theatre to remove the lump for biopsy to give us a clearer indication of the cause of Thomas’s swollen wound. 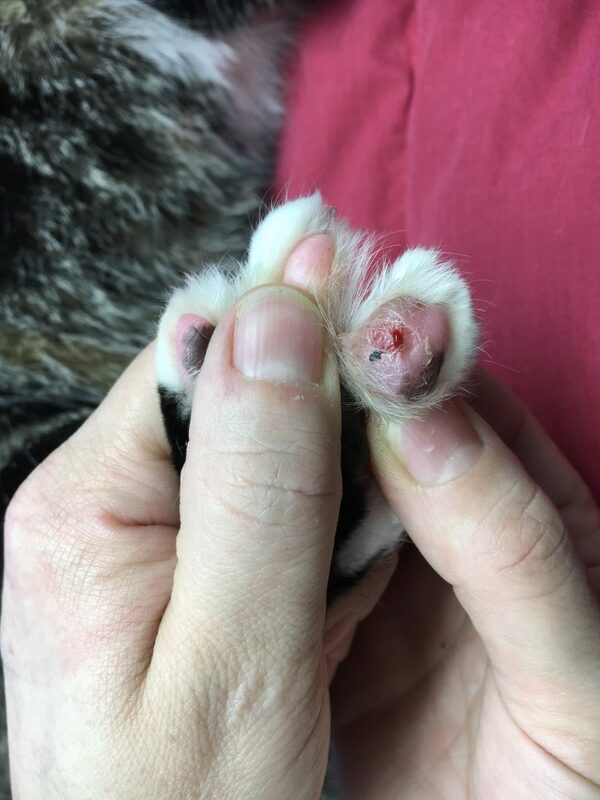 Emma, who has a certificate in Feline Practice, performed the lumpectomy, and during surgery, she noticed something unusual: the raw-looking swelling was no longer confined to Thomas’s one pad, but lesions had now also appeared on the pads of his other feet. 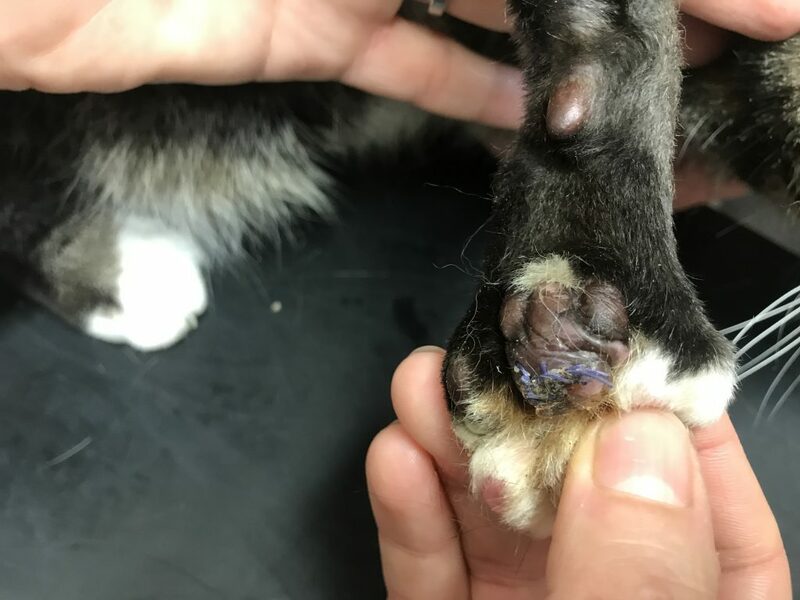 Having seen a similar case back in Spain, Emma wondered whether Thomas was suffering from a rare feline disease called plasmacytic lymphocytic pododermatitis. Results from the biopsy confirmed her suspicions were right. Plasmacytic lymphocytic pododermatitis is an immune mediated disease (this means the body essentially attacks itself, in this case causing an inflammatory response). 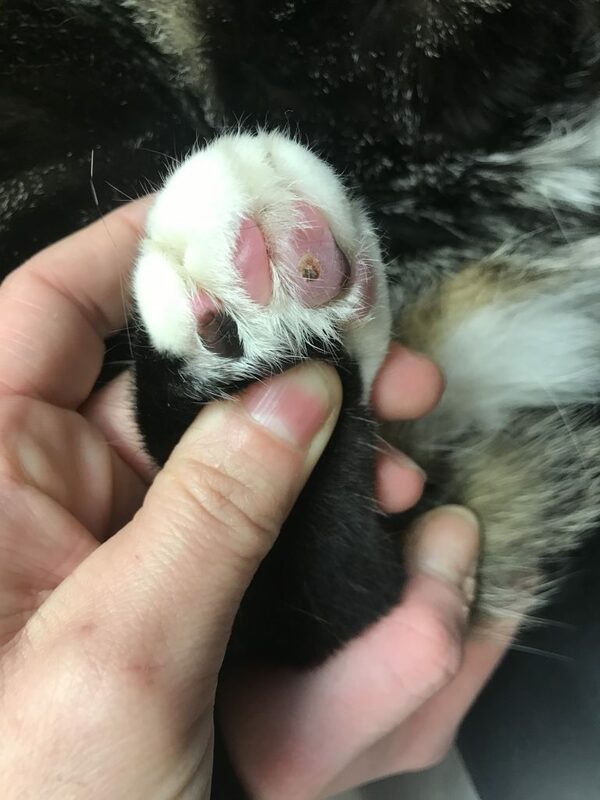 The condition affects the central pads and toes of cats’ feet. 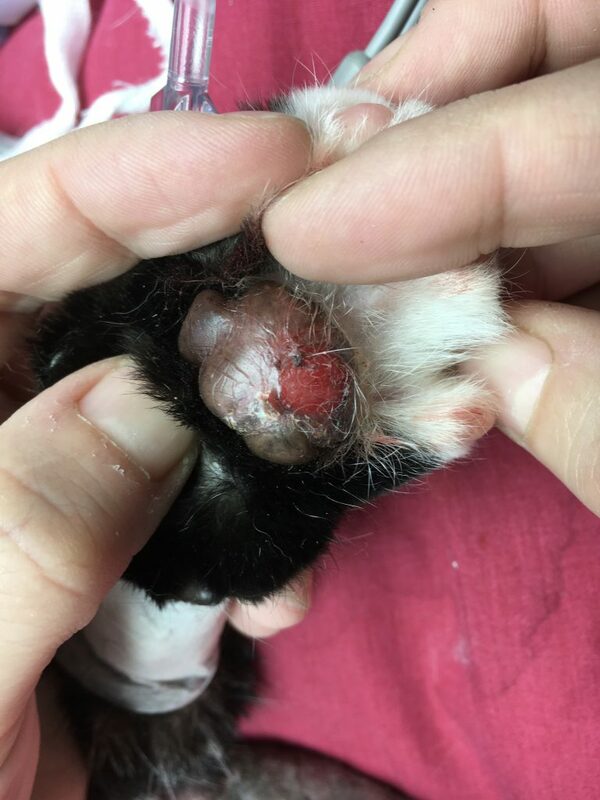 The pads take on a dough-like springy texture as though filled with fluid, and these swellings can then turn into ulcerated lesions which make it painful for the sufferer to walk. In some cases, the condition also causes renal problems and inflammation of the gums, but fortunately this wasn’t the case for Thomas. Once we knew what we were treating, Thomas was given a high dose of steroids in combination with a specific condition-responsive antibiotic. Looking at the photos, you can see a massive improvement in Thomas’s paws after just one week! We are happy to report that Thomas’s condition is now stable. However, he will need regular monitoring as his symptoms could return in later life. 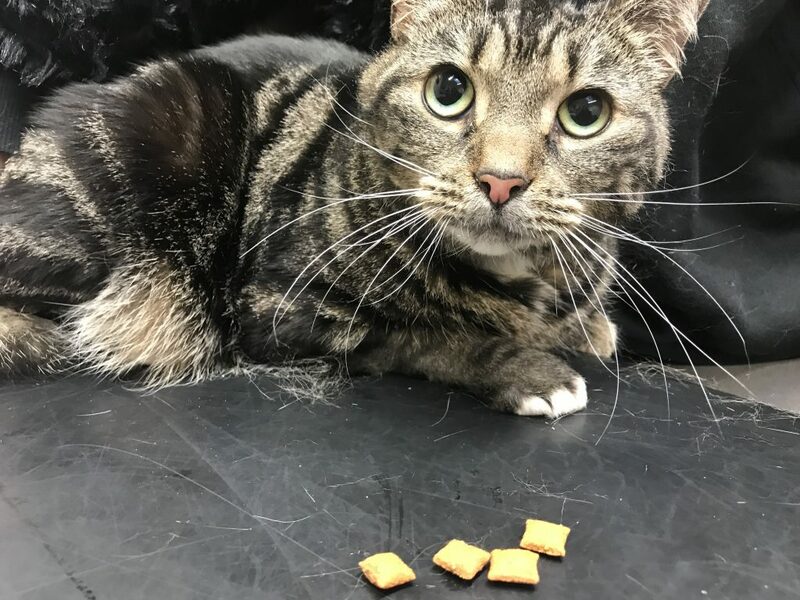 We’re keeping our fingers crossed (and Thomas is keeping his toes crossed) that Thomas’s paws remain healthy and pain free.